Samsung Galaxy S8 Plus has a monstrous 6.2-inch curved display fitted into an acceptable body design and doesn't look much different than Galaxy S7 Edge. These are the latest top pics from our side and will be available for purchase soon in weeks. 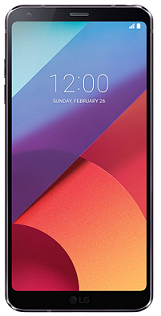 The LG G6 features a glass and metal design, offering rounded corners, slim bezels, and a rear-mounted fingerprint sensor just below the dual-lens camera. It measures 149 x 72 x 8mm, weighs 168g and features an IP68 rating for water and dust resistance. The G6 certainly has a premium build which is much better than its predecessor and available in Mystic White, Astro Black, and Ice Platinum colors. The LG G6 is all about its big crispy display, offering a 5.7-inch IPS LCD screen with a Quad HD+ resolution for a pixel density of 564ppi. It supports both HDR 10 and Dolby Vision and also offers an ultra-wide aspect ratio of 18:9. It also features an always-on display from G5 which is easier to get time and notifications. The LG G6 has a dual-lens rear camera with two 13 Mp sensors. There is optical image stabilization on board and phase detection autofocus as well as dual-LED flash. There is also a 5 Mp front-facing camera on the LG G6. The LG G6 runs on Qualcomm Snapdragon 821 chipset, supported by 4GB of RAM and 32GB or 64GB of internal storage, with microSD support. There is a 3300mAh battery support, charges with USB Type-C and also support Quick Charge 3.0. The OnePlus 3T offers a very premium finish with a full metal design. Its fingerprint sensor is located at the front within the home button, and has a large singular camera lens on the rear, with the flash at below. Measuring 153 x 75 x 7.4mm and weighing 158g, the OnePlus 3T is larger than the G6 but it is slightly slimmer and lighter. It is not water resistant on specs and available with Gunmetal and Soft Gold colors. The OnePlus 3T also has a 5.5" Optic AMOLED display with 16:9 aspect ratio. It has a full HD resolution with pixel density of 401ppi. It features Night mode and protected by a Corning Gorilla Glass, but there is no HDR support or quick glance notifications available. The OnePlus 3T has a 16 Mp single rear sensor, phase detection autofocus, and optical image stabilization. 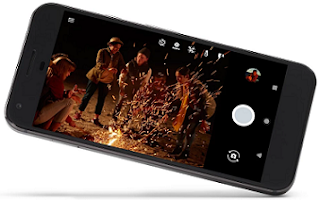 It offers manual control, Auto-HDR and Dynamic Denoise feature. The OnePlus 3T also has the Qualcomm Snapdragon 821 processor, but it has 6GB of RAM and the choice of 64GB or 128GB of storage. There is no microSD support. It has larger 3400mAh battery can be charged over USB Type-C and also has Dash Charge, which is OnePlus' version of Quick Charge. The OnePlus 3T runs on OxygenOS 3.5, which is a customized version of Android. Apple doen't seems to lower their price range and making it difficult for some consumers to go for it, still iPhone is the device that many will hanker for. Next - iPhone 8 will pack with all new glass design which will allow for wireless charging and much better water-resistance. May also be called as iPhone X? 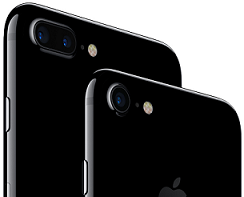 Well, with the innovative and more secure features, iPhone7 upgrades itself with the latest hardware and amazing things. Its new 3D touch display is even more vivid and supports more brightness and viewing angles. Even though every other flagship have left the LCD technology, Apple is still with it managing beautiful color tones, viewing angles, and power features. Its home button is now a solid state with a large taptic engine with possible haptic customizations. Now even iPhones are splash and water resistant. The similar looking Apple device has much more advanced hardware and software features. Arstechnica teardown reports say iPhone 7 comes with larger 2900mAh battery by removing headphone jack. It also makes space for a larger Taptic engine which enables the haptic feedback API supported for much more precision. video source: apple youtube channel. Avg. pricing $850 and $950 for Plus. Specs - High Definition AMOLED Display, Qualcomm Snapdragon 821 chipset, Quad Core 2x 2.15GHz and 2x1.6GHz processor, 4GB LPDDR4 RAM, 32GB or 128GB Internal Storage, No microSD expansion, Android 7.1 Nougat, USB Type-C, 4G LTE, 12.3Mp primary camera, 8Mp front facing one, 2770 mAh and 3450 mAh Battery support, Aluminium Unibody and Polished Glass built, Black and Silver colors. Cons - Still some loopholes such as being not fully waterproof and traditional Apple lookalike design. Also see "Smartphones to appear in 2017 - Best of CES 2017"
A revolutionary futuristic display design is breathtaking. 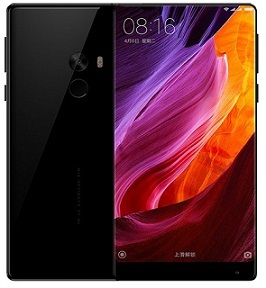 Xiaomi Mi Mix gives a taster of what to expect from future smartphones. The full surface display design is something we've never seen before. Mi Mix as unveiled in India and North Africa with distribution partner TASK FZCO. With Redmi Note 4 and Redmi 4A, the Mi Max will be soon available across the UAE through online selling sites and retail outlets. With huge 6.4 Inch bezelless design, device itself isn't much larger than most of the big display phablets. It has surprising screen-to-body ratio of 91.3 percent. Also see Budget Android Phones 2017. Most of its tech things are hidden behind the display. Whether it is ultraonic distance sensor or a cantilever piezoelectric ceramic acoustic technology instead of and standard earpiece everything is behind display. On back it has superb 18K gold trims to the camera and fingerprint scanner surrounds. Looking at specs, Mi Mix is powered by latest Qualcomm Snapdragon 821 chipset running at 2.35 GHz processor, found similar in Galaxy S8. Paired with huge 6GB LPDDR4 RAM and massive 256 GB of UFS 2.0 storage is enough to call itself a true high-end smartphone. Specs - Stunning 5.5 Inch Display, 4K resolution, 806ppi, Triluminos Display technology, Best display in the current market. Powerful 23Mp Camera lens with hybrid autofocus, Impressive fingerprint scanner, Clear shiny glass backside, latest Snapdragon 810 chipset, 2GHz octa-core CPU, Adreno 430 GPU, 3GB RAM, 32GB internal storage. video source: Sony Xperia Youtube channel. Avg. pricing $550. 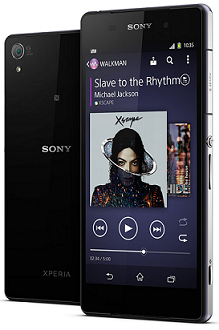 One of the best product from Sony mobile. Z2 is lighter than its predecessor Z1 and Galaxy S5 too. With just 163g it is surprisingly light to hold in hands with just 8.2mm thick. It has larger 5.2 Inch Display with the Waterproof and Dustproof body. It has book design, meaning it does not have curved edges like HTC One (M8) so, doesn't fit firmly in hands like M8. Z2 has active noise canceling to reduce background noise while you talking to someone. 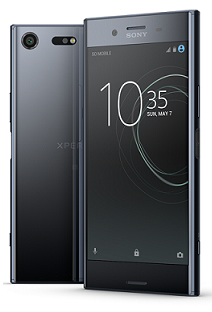 Specs - Z2 has bigger 5.2 Inch 1920 x 1080p Triluminous LCD with 16.7 Million color Display, higher 20.7 Mp Rear Camera lens, Qualcomm Snapdragon 801 Chipset with 2.3 GHz quad-core processor, 3GB RAM, 16GB Internal Memory Expandable with MicroSDXC, 3200 mAh Li-ion non-removable battery support. video source: Sony Xperia Youtube channel. Avg. Pricing $300. 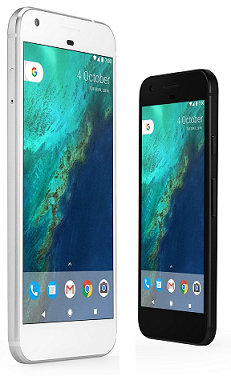 Although Samsung is the great choice when it comes to a large size phablets, Nexus 6P is the next best alternative. It is probably the best Google-Huawei product ever. 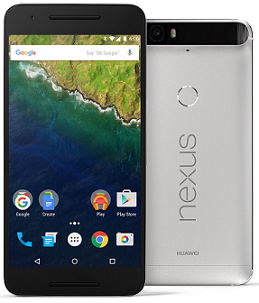 6P design is extremely durable and seriously fast. overall it is highly customizable, smooth and most importantly elegant. Cons - Poor battery management. Specs - 5.7 Inch AMOLED 2560 x 1440 WQHD Display, Snapdragon 810 processor, 3GB RAM, 12.3Mp Primary Camera, 8Mp front facing one, Android Marshmallow 6.0, 4K 3840 x 2160 recording, 3450 mAh Battery support. video source: Google Nexus youtube official channel. Avg. Pricing $450. Cons - Gets hot with many users, app crash. Specs - 5.5 Inch 1440 x 2560p, 534ppi, Super AMOLED Capacitive Display, Snapdragon 820 chipset, Quad-core 2x2.15GHz and 2x1.6GHz processors, 32GB/64GB internal storage, Expandable up to 256GB, 12Mp primary and 5Mp front facing camera, Android V6.0 Marshmallow OS, Water and dust resistant, 157g and 7.7mm thick, 3600 mAh Li-Ion Battery support. video source: Samsung youtube channel. Avg. Pricing $600. It is a big foblet. A big display quality product from Sony. Without being unnecessarily high-end Sony, have managed to bring some big thing to their loyal customers. It's a great convenient tablet come smartphone design for most of the big phone lovers. 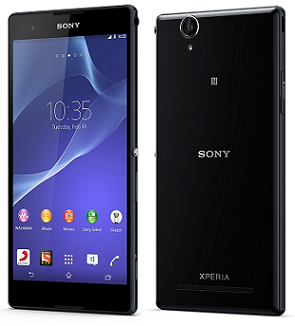 And don't forget, it has a hard tempered glass on the back similar to its predecessor Z1. Cons - Feels big in hand, low display resolution. Specs - 6 Inch 720 x 1280p IPS LCD Display, 245ppi, Qualcomm Snapdragon 400 chipset, 1.4GHz quad-core processor with 1GB RAM, 8GB internal memory, Expandable up to 32GB with microSD, Dual SIM (2 Micro), 13Mp primary camera with Autofocus and LED flash, 1Mp front facing one, 1080p video recording, Android 4.3 OS, 172g, 3000 mAh battery Support. video source: Sony Xperia youtube channel. Avg. Pricing $300. 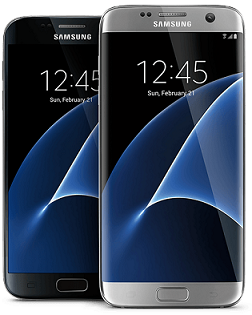 Galaxy S7 is an upgraded version of its predecessor S6. Looking similar to S6, Galaxy S7 has a lot more to discuss. It has beautiful chamfered edges and hence easy to hold in hands. Now the camera is slightly fitted inside, meaning protruding less than S6, so comfortable carrying in pockets. Galaxy S7 is water and dustproof with IP68 so no worrying for party poolside. With gorgeous quad-HD Super AMOLED display, a phone is again a great choice for many display lovers. It also has a much-improved camera sensor with a 12Mp lens. With its 3000 mAh battery, it is enough to power up the device for longer hours. Specs - 5.1 Inch, Super AMOLED, 1440 x 2560p, 577ppi Display, Gorilla Glass 4 protection, Qualcomm Snapdragon 820 chipset, quad-core 2x2.15 GHz and 2x1.6Ghz processors, 4GB RAM with 32GB/64GB internal memory, Expandable up to 256GB with microSD, 12Mp primary and 5Mp front facing camera, Single Nano SIM support, Android V6.0 Marshmallow OS, 3000 mAh non-removable Li-Ion battery support. video source: Samsung youtube channel. Avg. Pricing $550. 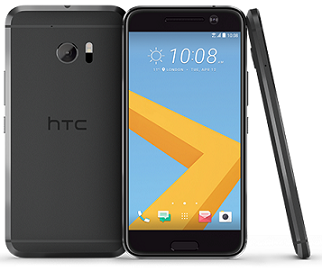 HTC 10 is a best-crafted device. It is one of the top quality smartphones in 2016. 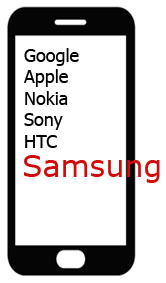 It stands in the top list of our high-end phones. There are reasons. Firstly its build quality - it's solid as well as attractive. The phone comes with latest Android 6.0.1 with HTC Sense over it with BlinkFeed UI. It is HTC's Flipboard-esque news board which is a very much welcoming feature from all over. 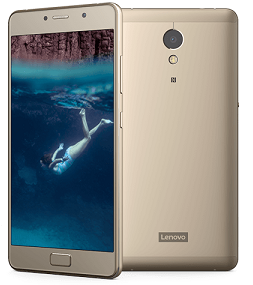 It has latest Snapdragon 820 chipset with massive 4GB RAM. Considering this, in hardware department phone is a beast. It's all aluminum chassis gives it a premium feel. 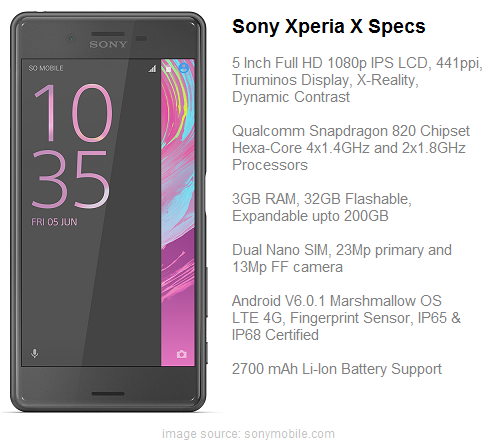 Specs - 5.2 Inch 1440 x 2560p, 565ppi, Super LCD5 Capacitive Display, Qualcomm Snapdragon 820 Chipset, 4GB RAM, 32GB/64GB Internal Storage, Expandable up to 256GB with microSD, Android Marshmallow V6.0.1 OS, 12Mp Primary Camera with autofocus and dual-LED, 5Mp secondary one, Nano SIM, 3000 mAh non-removable Battery support. video source: HTCAmerica youtube channel. Avg. Pricing $580. 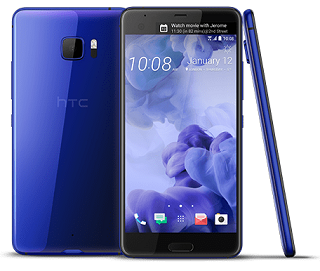 HTC U Ultra was released over a month now and its looks stunning. 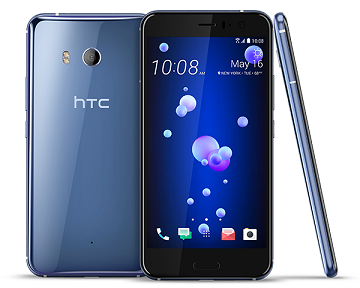 LIke HTC 10, HTC U Ultra provides superior audio output with stereo speakers and an included USonic headset that maps the specifics of your ears. The U Ultra has a 5.7 Inch LCD display which has a very high resolution. Its bigger 3000 mAh battery can make it upto a full day of working. At price tag of $749 its quite expensive but its back glass, aluminium unibody design makes it stand apart from others. Still lack of water resistance, no wireless charging and no headphone jack are some of the negative points. In my review, Huawei is an upcoming electronics giant. why? See their design, I mean Made 8 looks masterpiece. Thinnest bezel, HD display and most importantly high-end up-to-date hardware. Even though it is huge, its curved and chamfered edges make it a good feel in hand. Wait, Its display is not even 4K or quad-HD but still gives a serious impression with great viewing angles. Specs - 6 Inch IPS-NEO LCD Display, 1080 x 1920p, 368ppi, HiSilicon Kirin 950 chipset with Octa Core 4x2.3GHz Cortex A72 Processor, 3GB/4GB RAM, 32GB/64GB Internal Storage, Expandable up to 256GB with microSD, 16Mp primary with autofocus and dual-LED and 8Mp Front facing camera, Android V6.0.1 Marshmallow OS, Dual Nano SIM support, 4000 mAh Li-Po non-removable battery support. 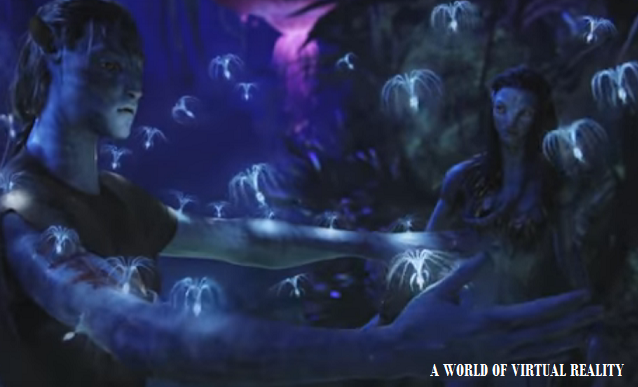 video source: Huawei Mobile youtube channel. Avg. Pricing $440 - $500. Mate 9 is yet another masterpiece available for GSM phone users on Amazon and other US retailers for just below $599. Mate 9 comes with powerful Kirin 960 processor, 4GB RAM and enough 64GB ram with microSD expansion available. Its dual cameras with Leicia branding and massive 4000 mAh battery is enough to keep you up with routine entertainment and work. 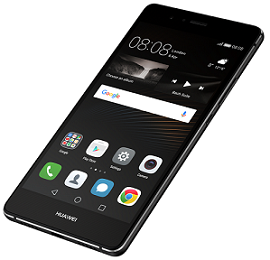 As Huawei P10 is awaited till MWC 2017, still there is a huge attention towards already stunning P9 design and its specs. We should also see a Android 7 Nougat update soon. 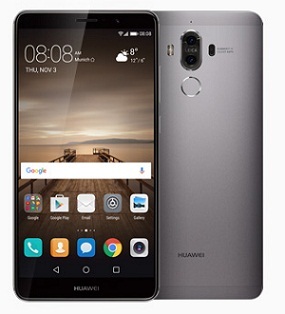 P9 is Huawei's one of the best design yet with a unibody metal chassis with flat sides. Its almost a bezel-free display gives it a unique appearance among peers. Eventhough its microSD will allow you add further of 128 GB of space to its inbuilt 32/64GB, you won't be able to take an advantage of Android Marshmallow's Adoptable Storage feature. (Adoptable storage lets you instruct your device to treat an added SD card storage as native storage). Still it doesn't look worth in our review. 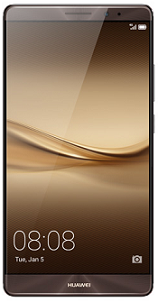 Its 5.2 Inch FHD display looks fabulus matching crystal quality of other high-end peers. It is bigger to its compact variant but lacks 4K display of Premium, still, perfect for most of the smartphone lovers with its superior camera, stunning display, and performance. Its 5.2 Inch, 428ppi Triluminous Display with Bravia X-Reality Engine produces stunning colors. 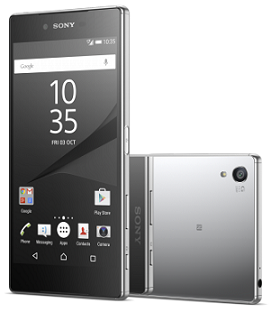 Sony's traditional front and back gorilla glass design look pretty. It hasn't changed in recent years. Z5 though have matt finish on surface feeling more like a premium plastic. Specs - 5.2 Inch IPS LCD, 1080 X 1920P, 428ppi Display, X-Reality Engine, Qualcomm Snapdragon 810 chipset, Octa-core 4x1.5GHz and 4x2.0GHz Processor, 3GB RAM, 32GB Internal Memory Expandable up to 256GB with microSD, 23Mp primary camera with autofocus and LED flash, 5.1Mp front facing one, Fingerprint sensor, Nano SIM, Fast charging, 2900 mAh Li-Ion non-removable battery support. video source: sony Xperia youtube channel. Avg. Pricing $520. When it comes to a complete smartphone, there are plenty of cheap options available everywhere. Still, top tier brands keep inventing new devices equipped with faster processors and amazing new features. One of such latest incoming is LG G5. G5 is packed with modern tech. 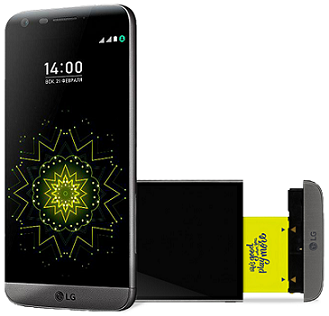 With innovative things built-in and unique design, LG G5 stands high in the race compared to rivals. At a glance, it just doesn't feel metal at all even if it is, however, its polished body does feel premium at closer. Slight curves at the edges do make it much comfortable while in hands. G5 has an overall metal body with a separate frame which loads the battery into it and a rear shell which is non-removable. It has stunning 5.3 Inch 2560 x 1440 pixels IPS LCD display. With 70 percent black screen on top with slight curves at edges, the front facing display looks gorgeous. These curves just add aesthetics and nothing else function. Its removable modular battery case it quite innovative and great for power users. 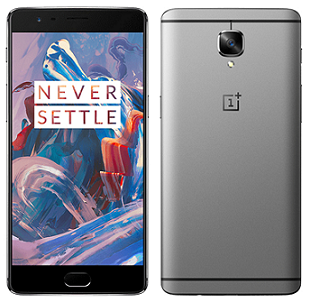 OnePlus 3 is the third iteration in this series with literally jaw-dropping specs. A great off contract device with the best hardware, fabulous display, fast-charging, NFC for mobile payments and much more. 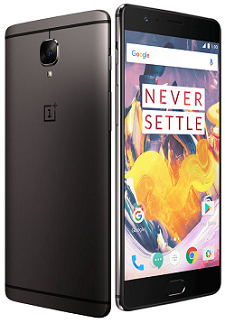 1st model was total plastic built, the second one was modified with metal sides but OnePlus 3, this time, comes with metal and glass design with great Graphite (a muted gray) color. It also has a 7.4mm thick aluminum frame which makes it look premium. If you are planning to buy iPhones latest series, this phone is the one which is hard to pass on with a similar look at many downward costs in comparison. It is to note that phone comes with Super AMOLED Samsung screen which is amazing for display lovers. With this, its blacks are stunning and overall color production is simply amazing. You have color temperature slider instead of Samsung's muting options with which you can balance its power and white balance for productivity. Specs - 5.5 Inch Optic AMOLED, 1080 x 1920p, 401ppi Display, Gorilla glass 4 protection, Qualcomm Snapdragon 820 chipset, Quad-core 2x2.15GHz and 2x1.6GHz processor, 6GB RAM, 64GB Internal storage, Non-Expandable, Dual Nano SIM, 16Mp primary with autofocus, LED and OIS, 8Mp Secondary one, Android V6.0.1 Marshmallow, Fingerprint sensor, 3000 mAh Li-Ion non-removable battery support, Color options Graphite, Soft Gold. video source: OnePlus youtube channel. Avg. Pricing $560. 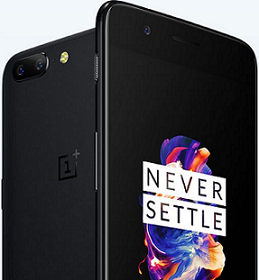 With one of the best Android phone experience, OnePlus 5 is very successful device out there. Superior power with Snapdragon 835 processor, comfortable to hold, excellent dual lens cameras, massive 1080p 5.5 Inch AMOLED display and upto 128GB of internal storage are some of the key points to note. This device is truly a high end choice with as low as possible price tag in the market on a top-of-the-range phones. video source: Sony Xperia youtube channel, Avg. Pricing $395. If Microsoft's windows are your passion, you might not love anything other than Lumia series. Windows 10 is quite stable operating system by 2017 for smartphones and many believe this and prefer over Android and iOS from a long period. 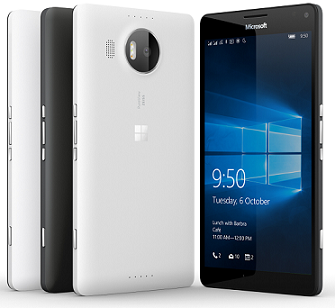 Lumia 950XL is a faster, solid built and with a stunning ClearBlack display. In older windows phones we saw issues such as stretching apps for a bigger screen, slowing down apps on the larger device and some hardware lag. But new Lumia 1350 got a lot of attention with its quality and performance. Unlike those jewelry material used in most of the premium phones currently selling the market, Lumia series uses a premium plastic body with Gorilla Glass on top. Even though the phone has large 5.7 display, it doesn't feel too large to operate. Its 518ppi display is just amazing. With its ClearBlack technology, everything looks gorgeous. It's Gorilla Glass 4 is just enough to keep it from scratches. It has a latest Snapdragon 810 chipset, so things works smooth. Lumia 950 XL does not show higher benchmarking indices compared to other rivals but that a too much tech part. If you are an avid windows lover, Lumia is only and the best option for you. video source: Microsoft Lumia official youtube channel. Avg. Pricing $400. Specs - 5.7 Inch AMOLED, 1440 x 2560p, 518ppi, ClearBlack Display, Qualcomm Snapdragon 810 chipset, Octa-core 4x1.5GHz and 4x2.0GHz processors, 3GB RAM with 32GB Internal Memory, Expandable up to 256GB with microSD, 20Mp primary lens with autofocus and triple LED, 5Mp front facing one, Microsoft Windows 10 OS, Nano SIM support, Microsoft Continuum Support, Fast charging, Qi wireless charging support, 15GB OneDrive cloud storage, 3340 mAh Li-Ion battery support, color options include white and black. After a long time we got impressed with Motorola device. Moto Z and Moto Z Force Droid has a modular design which works pretty well. Again with great look, and features. 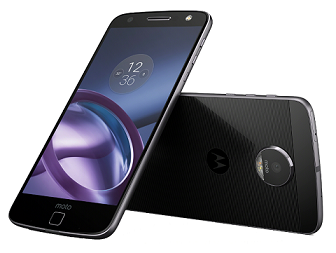 Truly innovative and world's thinnest phone, Motorola Moto Z has lot of potential to impress worldwide customers. But it comes at a cost of reduction in battery size and loss of headphone jack. Still, great phone to consider. 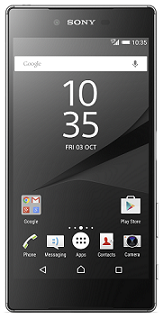 The Z Forece Droid adds a shatterproof display which is rare in recent phones. Both the devices are equipped with high-resolution display, top-notch specification, a water repellent nano-coating and battery life which lasts longer than iPhone 7 Plus. Both the devices are updated with Android security system, and Moto Z Force Droid can also be used with Google Daydream headset for a VR experience. 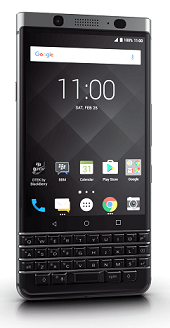 The BlackBerry DTEK60 is a precisly built with high level of security and an elegant design. But Keyone is different looking at its much productive physical QWERTY keyboard. Scheduled to be released in early April or late by May around $549 which is again much attractive and reasonable looking at BlackBerry trust. Its an high-spec budget smartphone. Includes most of the mid-range specs at very low price range. It P2 isn't your choice of brand, take a look at Moto G5. Again, great phone for music lovers. The device is pocket friendly with most of the latest amazing specs. Camera features are impressive with brilliant snaps and strong HDR mode. It has a two-tone design which is its USP. HTC will bring HTC U12 as an upgrade to this device. If you are HTC lover, this device is for you. You can compare this device with Galaxy S8 and LG G6 to look for something different. Its has a stunning 4k screen with superb display performance. Even though there is still a less HDR content available out there, Sony once again promisses on their high tech display performance with more brighter and colorful images, and rest of the phone has hell of a powerful up to date hardware. In comparison - Samsung Galaxy S8 Plus, see on above list.